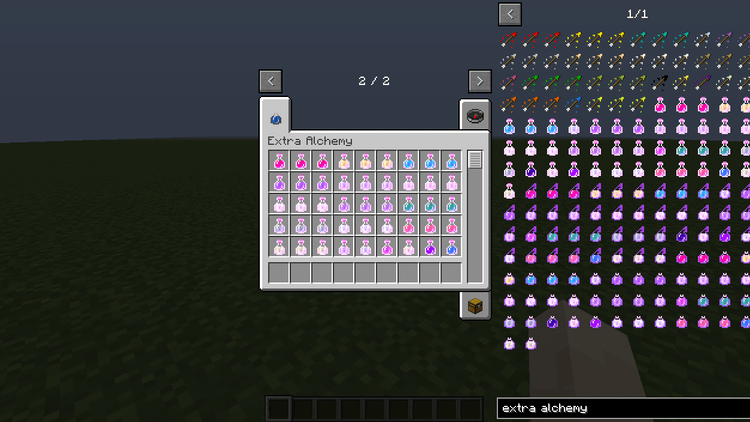 Extra Alchemy Mod 1.12.2/1.11.2 brings a huge number of drugs and new recipes as well as convenient potion effects in Minecraft. It has helped the players feel comfortable in researching and optimizing the features of Potion to survive in the nature of Minecraft better than before. The potion is one of special systems of Minecraft that the players have cared and research carefully. They usually used this one to increase their powers or reduce their enemies. Therefore, they can defeat their enemies easily with the benefits of situations and the victory for the fights. However, the author of this mod set said, the number of drugs that Mojang has brought is not full enough. Moreover, it is quite simple and does not develop the greatest strengths of this system. As a result, they decided to program Extra Alchemy. 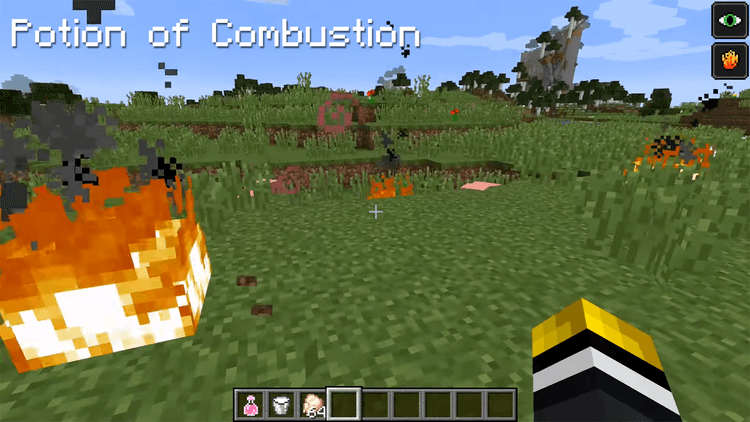 Extra Alchemy has brought some new brew ingredients, recipes, new potion status effects from negative to positive ones in Minecraft. Therefore, the players can use maximum benefits of the potions. For example, freeze drug is to freeze one objective; lost avoidance drug is to guide the locations back to where the players drunk; explosion drug is to burn a certain area surrounding the players; magnet drug í to get dropping items around the players, etc. Extra Alchemy is a simple mod which does not need a supporting mod. It requires Forge Mod Loader and Minecraft version 1.10.2, 1.11.2, 1.12. Download Forge Installer, Extra-Alchemy. jar file.